Blog Posts – Page 2 – Ladamania! My Jim and Pam series continues! This is from Season 2 Episode 2, and is one of my all-time favorite PB&J moments. Derwent Drawing Pencil (with a little Faber-Castell Polychromos mixed in) on Strathmore Toned Tan paper. I even blurred it to look like the scene! More Office! Took a break from PB&J to draw the big boss, Michael Scott, in episode 205 “Halloween”. Most difficult part of the drawing? The Plaster Head! Derwent drawing pencils (with some Coloursoft pencils) on Strathmore Toned Tan paper. I posted this as a project but I’m not sure what shows up where when you post a project verses a blog post, so here it is as a post! I recent marathoned Netflix’s Daredevil and liked it a lot, also I guess I’m a bit of a “Clairedevil” fan. 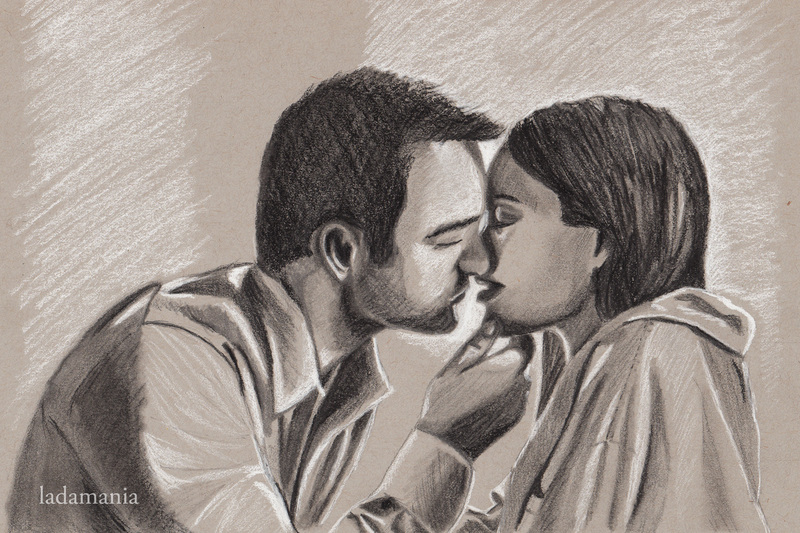 This drawing is graphite and charcoal on gray-toned paper, with a screenshot of the show used for reference. For Halloween this year I make an amigurumi witch. There are plenty of cute witch patterns out there but I ended up modifying this Red Riding Hood pattern by AmyGaines on Etsy. The only change was color switching and making the cape without the hood (and no legs, at least for the time being). For the hat, I found this free pattern on Lion Brand Yarn’s website (you may need an account to view) and made it a few rows bigger at the end so it would rest on the witch’s head. I was extremely pleased with the results and took the witch, whom I’m naming Willa, and some kitties I purchased in Japan to the back yard for a photoshoot.